Many of us might have faced a situation where we lost important data and files from the system for various reasons including drive failure, volume corruption, virus attacks, bad sectors, directory corruption and more. It gets tiresome to look at the Internet for tools or methods to get the data back. 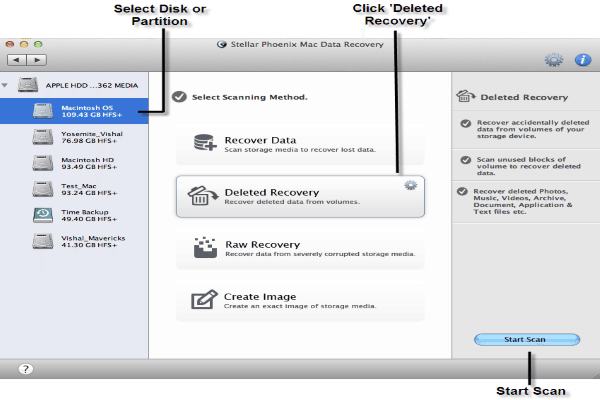 Stellar Phoenix Mac Data Recovery is handy software to recover lost audio files, photos and videos from a HFS, HFS+, NTFS, exFAT and FAT file systems. Offers simple and easy-to-use user interface. Allows creating a disk image that can be used to restore the system to the previous working state. The product is a bit expensive compared to other free tools available to perform various recovery tasks. However, it offers an integrated solution in one software which is a great benefit. 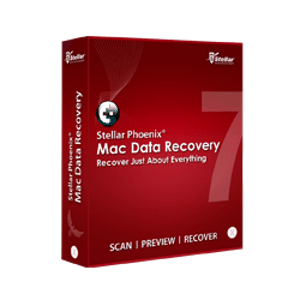 Stellar Phoenix Mac Data Recovery is one of the top recovery software for and is accompanied with Rescue CD to salvage data in an event of system startup failure with many other great features. 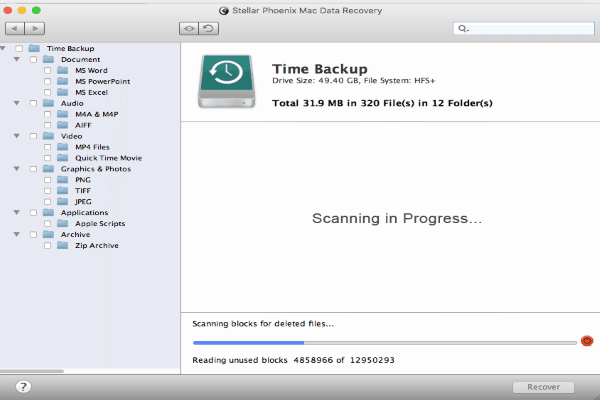 Stellar Phoenix Mac data recovery software is compatible with iMac, MacBook Pro, MacBook Air, Mac Mini and Mac Pro. It can efficiently recover lost data from these systems. It is also compatible with the latest OS X El Capitan and below versions. This recovery software works for a Windows partition created using Boot Camp assistant and recovers data out of it. Let’s look at the wide range of features the software has to provide in a bit detail. 1. Making use of advanced scanning techniques, the software recovers data lost due to drive corruption, accidental deletion, malware attack and more. 2. This software brings back the files, which have been permanently deleted. It employs sophisticated algorithms to accomplish this task. 3. This software can recover and repair lost volumes on the system. It also provides the functionality to rebuild the corrupt volumes on the drive. Hard drive repair features are included in the Platinum Edition of Stellar Phoenix Mac data recovery software. Compare features now. 4. For advance data recovery, which includes file recovery from corrupt media, user can opt for RAW data recovery. It scans almost 122 different file types that may be present on the drive. 5. Losing photos equals to losing memories. This software comes to your rescue in such a situation as it can scan the volumes for lost photos with its capability to identify all major photo file formats and recover them as well. It works on internal and external storage devices. 6. 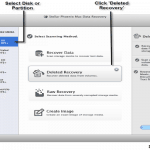 NTFS partition data recovery on a Mac system is the notable feature that this software provides. It is easy to recover lost data from Windows Boot Camp partition on a Mac system. Irrespective of whether the Mac system is used as a standard dual partition Boot Camp drive, this software works to recover lost data on the Windows partition. 7. Ability to create a disk image of the Mac drive is a very useful feature included in Stellar Phoenix Mac Data Recovery software. It allows restoring the system in a situation of complete media failure and saves you from a complete data loss. 8. This software offers an additional advantage with its feature of data recovery from CD/DVD. CDs or DVDs are susceptible to get damaged due to scratches that build over time. It is also possible that the media did not properly burn while writing data to it. In such scenarios Stellar software offers the ability to rescue data from it. 9. Advanced scanning capability comes in two forms viz. “Quick Scan” and “Advanced Scan”. Quick scan is useful in the accidental deletion of data and can quickly get back the lost files. Advanced scan feature performs a thorough scan of the drive or volume post formatting it to look for lost files and data. 10. When it comes to recovering data from an external drive formatted in HFS, HFS+, NTFS or FAT formats, this software is well equipped with efficient functionality to accomplish data recovery from these external storage devices. 11. Sometimes, Time Machine backup drive may get corrupted which leaves the user helpless in utilizing it for data recovery in an event of drive failure. 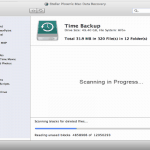 Here comes in the Stellar Phoenix Mac Data Recovery software that allow users to recover data from a corrupt Time Machine backup disk using recovery options built into the software. 12. At times, it may happen that the drive is corrupted to an extent of not allowing the system to start altogether. In such a scenario, this product comes with a recovery CD through which the user can boot the system and perform recovery tasks. • Double-click the file (StellarMacDataRecovery.dmg.zip) to launch installation. • Drag and drop the application from the mounted volume to the Applications folder. • Double-click the application in the Applications folder and accept the license agreement at the start. Following the above steps installs the application, and it can be accessed from the desktop screen. Overall, the software is a very useful and becomes a savior in times of requirement to recover important data files. The software is a bit expensive but with its support for many file formats and a large number of data recovery options, it is worth to buy this application for your Mac system. Also, it requires no prior technical knowledge and has a very easy-to-navigate user interface.